An explosion near a police station in Istanbul has injured ten people, according to the city's governor. He says a motorcycle bomb caused the blast. The city's governor, Vasip Şahin, said on Twitter the explosion injured 5 people. He also stated that the blast was caused by a motorcycle bomb. Earlier reports suggested a car was blown up. Media also said one of those injured sustained serious wounds. The blast took place in Istanbul’s Yenibosna neighborhood in the Turkish capital’s European part. The explosion is said to have been so strong that it was heard at Ataturk airport, some five kilometers away, media reported, citing witnesses. Bomb disposal squads and emergency crews were dispatched to the scene. The area was immediately cordoned off by police to prevent the possibility of another explosion, Turkish Milliyet reported. The explosive device was reportedly detonated via remote control. After examining a CCTV camera, police have identified a suspect, who fled the site immediately after the attack. The blast damaged several vehicles and also shattered glass in the buildings nearby, images from the scene showed. The police station in question is in the Yenibosna, or "New Bosnia" neighborhood, just east of Istanbul's Ataturk International Airport. Turkey has witnessed a series of attacks in the past months, with officials putting the blame either on ISIS or Kurdistan’s Worker’s Party, whom it considers terrorists. One of the deadliest dates back to June 28 when three attackers launched suicide bombings and a shootout at Istanbul’s Ataturk Airport. 45 people were killed and some 230 injured in the massacre. All three assailants also died as a result. Turkish officials said the assault was masterminded by Islamic State. In August, three people were killed and 71 injured, including civilians, when a car bomb targeted a police station in the city of Van in Turkey’s southeast. Then in September, another car bomb in Van struck 200 meters from the office of the city’s provisional governor. Officials said that at least 48 people were injured, with no fatalities. The Turkish government blamed Kurdish militants for carrying out both attacks. A ceasefire between the outlawed Kurdistan Workers’ Party (PKK) and the Turkish government was shattered in July of 2015. 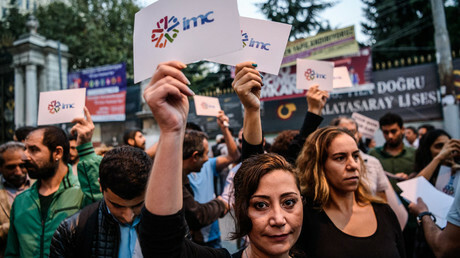 Kurdish militants are fighting for the right to self-determination and greater autonomy for the Kurdish majority in southeast Turkey – demands that Ankara rejects. The crackdown on the PKK in Kurdish-dominated provinces intensified following a failed coup attempt against President Recep Tayyip Erdogan last summer. Last month, Erdogan said that Turkey is conducting the largest operation in its history to cleanse the country of the PKK. This included appointing 24 new administrators in Kurdish-run municipalities to replace elected mayors of cities who had been removed from office because the Turkish government suspected them of having links to the PKK.